Why Proper Air Conditioner Installation in Chattanooga, TN Truly Matters? Posted on May 18, 2017 at 9:00 am. Summers are simply brutal in Chattanooga, TN. Therefore, all residents of Chattanooga want to make sure that their air conditioners are functioning at optimal levels so that they can beat the heat and stay cool & comfortable throughout the summer season. Where many homeowners focus on AC repairs and maintenance, some decide to replace old air conditioning systems with the new ones. Replacing your current units with more efficient and new air conditioning systems is definitely a good idea if they have aged or require frequent repairs. Once you buy a new AC, it is important that you hire a professional and an experienced company for air conditioner installation in Chattanooga, TN. Did you know that new air conditioning systems are deployed with advanced technologies for improved energy efficiency? And these new models can trim down utility bills up to 30 percent? However, to enjoy this great benefit proper, air conditioner installation in Chattanooga, TN is a must. According to a recent research study by the NIST (National Institute of Standards and Technology), faulty installations lead to efficiency losses and consideration energy waste. And more energy consumption means high energy bills and adding to your cost. So, to enjoy big cost savings and improved energy efficiency, make sure that your AC unit is installed properly. Proper air conditioner installation also helps increase equipment life. Here’s how, an experienced professional can install your new AC unit according to your space requirements and manufacturer’s specifications. This ensures that the unit runs reliably and efficiently with less wear and tear. And you know what that means? Fewer breakdowns and extended equipment life. Faulty air conditioner installation in Chattanooga, TN can lead to more frequent wear and tear of different parts and components of your air conditioning unit because they are not installed the way they should have been. Frequent wear and tear of important parts like the condenser, compressor, and fan motors require costly repairs and also, reduce the life of the air conditioner. When purchasing a new air conditioning system, all buyers perceive it as a long term investment in comfort. However, a faulty air conditioner installation in Chattanooga, TN can take that away as it can lead to several problems like humidity issues, temperature variance problems and carbon monoxide leaks. Due to these problems, your system may never be able to work at its optimal level and keep your surroundings cool and comfortable, the way you want and expect it to. To avoid all these problems, it is important to ensure that the settings of the unit including duct work, ventilation and drainage, all are done correctly. This ensures that the air conditioning system works flawlessly and helps you create a cool and comfortable indoor environment quickly. Therefore, you shouldn’t compromise on the installation service of your air conditioner. To ensure proper airflow through the equipment and in your home, without any rattling sounds, proper air conditioner installation in Chattanooga, TN is important. Faulty installations can reduce the airflow and even lead to early air conditioning system failure. Problems with airflow occur when the ducts are not installed correctly which leads to leaky ducts. When the ducts leak, it substantially increases indoor humidity level which thereby lowers human comfort. Leaky ducts also sap about 40 percent of the energy from the AC, making them run longer than they should which further adds to your energy bill. Besides this, problems with the ductwork can also identified by noisy sounds that you may start to hear when the system starts and runs. Continuous rattling sounds can be irritating and frustrating. So, avoid all this by making sure that your air conditioning unit is installed correctly. Poor AC installation can cost you big as you may have to call a professional every now and then to repair problems like duct and refrigerant leakage, fan motor failure, condenser problems and etc. 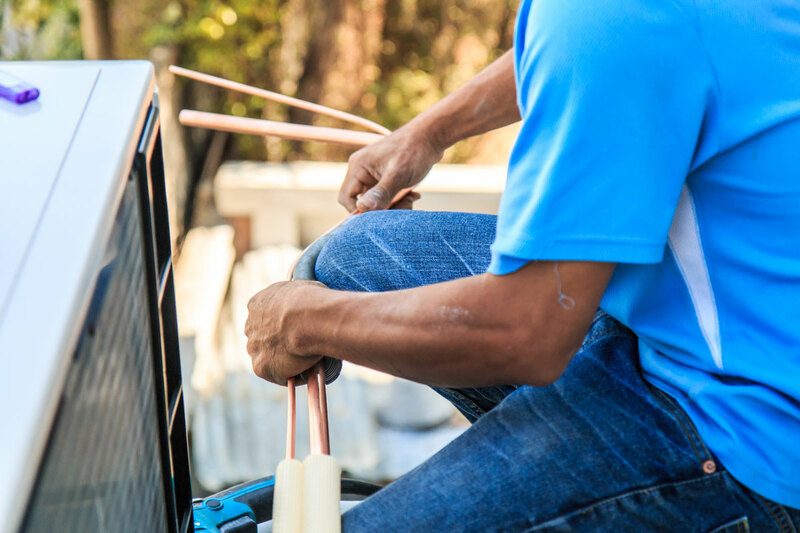 Instead of saving money by replacing your old unit with a new AC, you may have to spend more money on repairs of different components if the unit is not installed correctly. Therefore, the best way to avoid frequent air conditioner repair in Chattanooga, TN is to get it installed by an experienced professional. For air conditioner installation in Chattanooga, TN call Metro Plumbing, Heating and Air. Metro Plumbing, Heating and Air is an experienced and a well-reputed plumbing company, providing a wide range of HVAC specialized services under one roof. The company specializes in air conditioner installation, repairs, and maintenance. They have been serving homeowners in Chattanooga, and Cleveland for more than 2 decades. Their success can be gauged by an ever-increasing customer base that has several satisfied customers as well as referrals. They have a team of friendly, skilled and experienced professionals who are trained to install air conditioning unit according to the manufacturer’s specifications and requirements. The company offers excellent services backed by award winning customer support, and 24x7x365 emergency assistance. Rest assured, your peace of mind and comfort are guaranteed! So, contact Metro Plumbing, Heating and AC today to schedule for AC installation service in Chattanooga, TN.